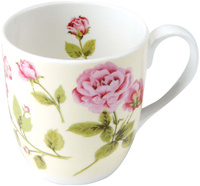 Today, I’m going to write about mugs….yes, the ones we drink tea or coffee out of. More precisely I am going to celebrate my success of this last year. Seems confusing? Well….maybe… So let’s start at the very beginning. This time last year we were celebrating Mother’s Day as we’ll do tomorrow. This time last year I had a 4 month old baby that I was still exclusively breastfeeding, a toddler of 2 years 3 months, and a little girl of 3 years 8 months. As you can well imagine I was not exactly a happy mother of 3 beautiful, perfect, little princesses, but an exhausted one. We had had a very wet and cold winter and I didn’t leave the house at all except to take the baby to her medical appointments. Can you imagine … 4 months blocked at home, busy all day and night with the kids? Well I can. I was there. On last year’s Mother’s Day we travelled to Gozo, where my parents live, for the weekend. It was probably our first visit there since the baby had been born. At one point during the day, my man and the two older girls came up to me with a bright blue shiny Upim bag (with the shop’s logo emblazoned on both sides). I remember feeling rather curious about what they could have gotten me from this shop. 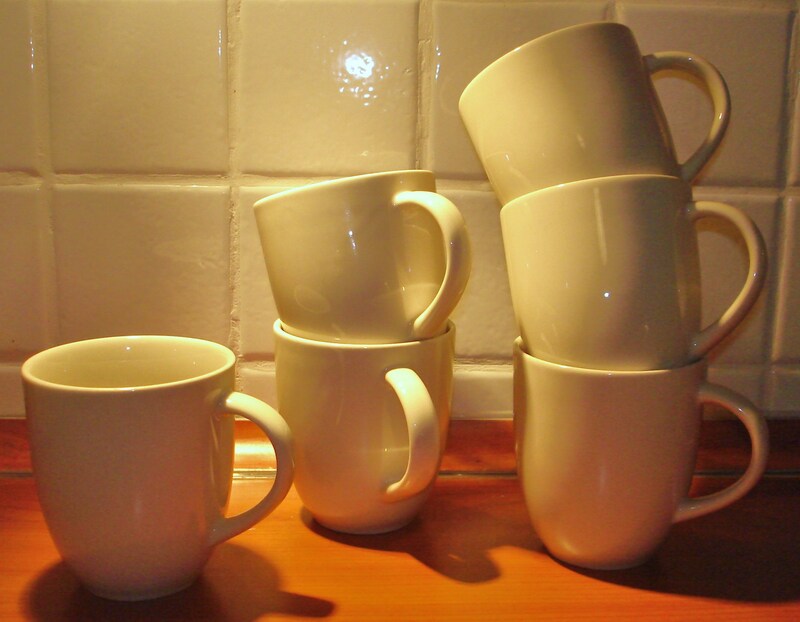 As I slowly unwrapped the packets I found myself looking at 6 identical mugs. “So what’s the big deal?” you might be saying. And there’s wasn’t just one of them but six! I remember feeling like crying at that moment. I now know exactly the meaning of “my heart fell”. 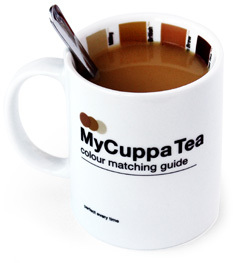 Of all the mugs there were on the market I had to get the most ugly colour one can imagine. For my little break from my ‘dreary’ life, I was going to have to look at the saddest colour of them all. I remember looking at the bag and thinking “I like the bag better than the mugs”. And the bag is horrendous. This time last year, if I had time to make myself a cuppa, it meant I had a little time for me. It meant I was going to enjoy making and drinking my tea while it is still warm. It meant that I was going to let myself be transported with my thoughts else where for a few moments. In my ‘uneventuful’ and colourless life, this was my only moment of escape. And I couldn’t bring my self even to put these mugs on the shelf with the others. I hid them in a cupboard that I never open. A couple of days later I finally brought myself to disclose this to my sister. I was so very ashamed of my self. I’m not one who can hide her feelings. But this is the one time I hid them. 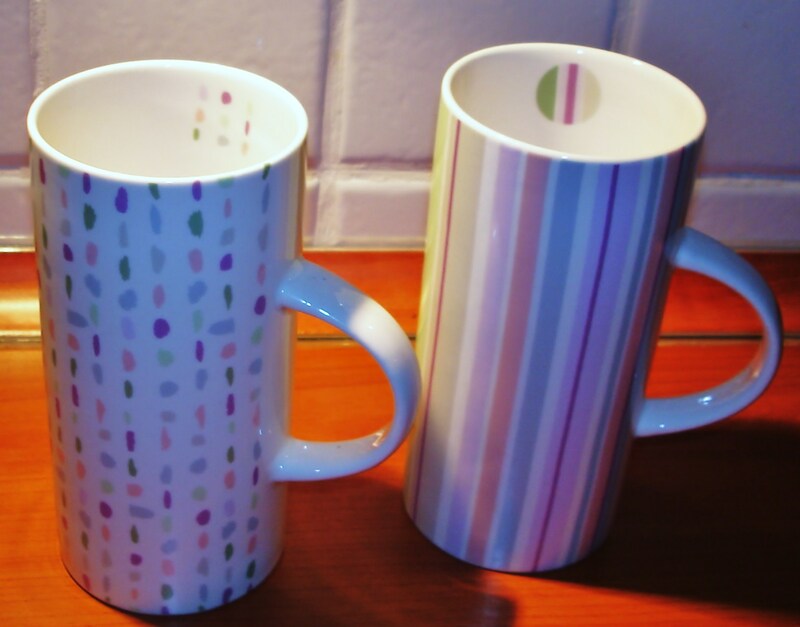 I was so ashamed of my feelings over half a dozen stupid mugs! My sister fully understood what I was trying to say. I remember feeling so relieved that someone understood me and didn’t think I was becoming neurotic. She proved me this when a couple of days later she turned up with these. 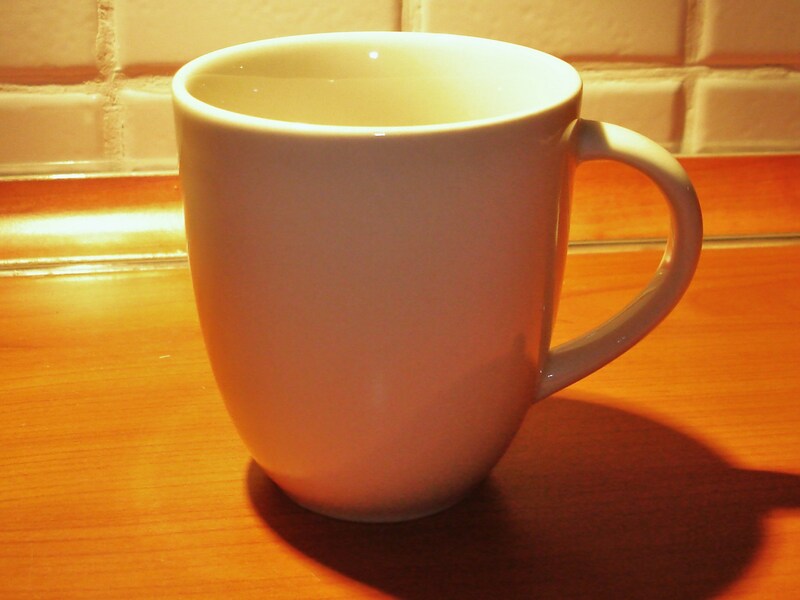 And for a long time, they were the mugs I reached for, for my little, far-between quiet moments. On re-reading the above, I realize I was either on the verge of some kind of depression or completely exhausted, this time last year. This is not to say that this year I’m not exhausted, because I am. But I’m definitely not depressed. Since then, I brought the mugs out of their dark corner and have even shared this experience with my man. I now use the mugs even purposely. 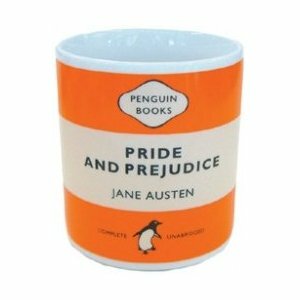 I have discovered their single, not-to-be-ignored, plus – they keep tea warm much longer! For someone who needs to be doing one million other things while having breakfast, this is most definitely a plus for the mugs.